Here are two more gorgeous illustrations that have been pasted into the large, old scrapbook that I first posted about last week. 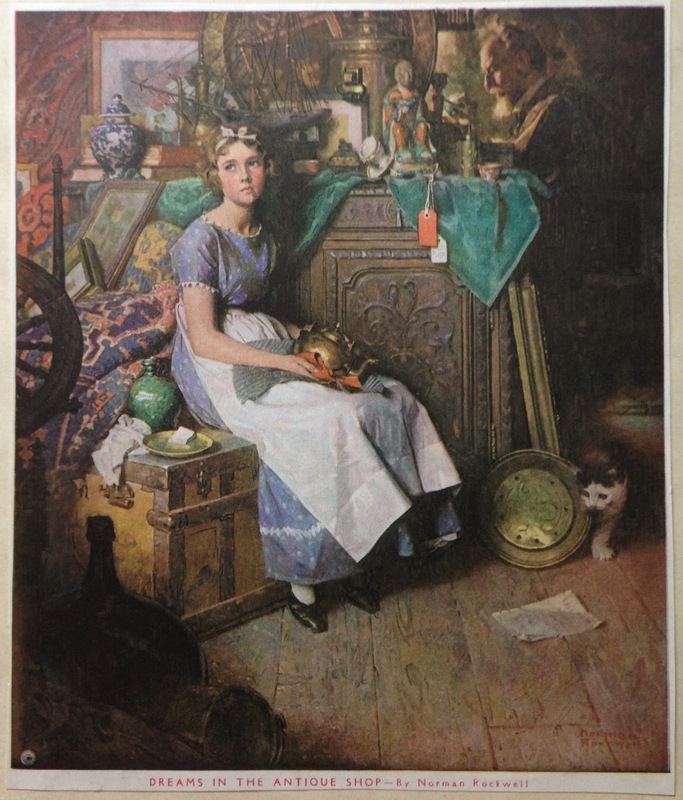 Above: This is Dreams in the Antique Shop by Norman Rockwell. According to Best-Norman-Rockwell-Art.com (by Keith McDonald), the artwork appeared on the cover of the November 17, 1923, issue of The Literary Digest. (It was Rockwell's 44th of 47 appearances on the cover of that magazine.) It is alternately titled Woman Daydreaming in Attic, according to McDonald. The original oil-on-canvas painting, which measures 35 inches by 30 inches, is part of the collection of Bay Path Junior College. This Rockwell painting has been monetized in many different ways over the decades. A quick search found both a figurine and a coffee mug based on the artwork. 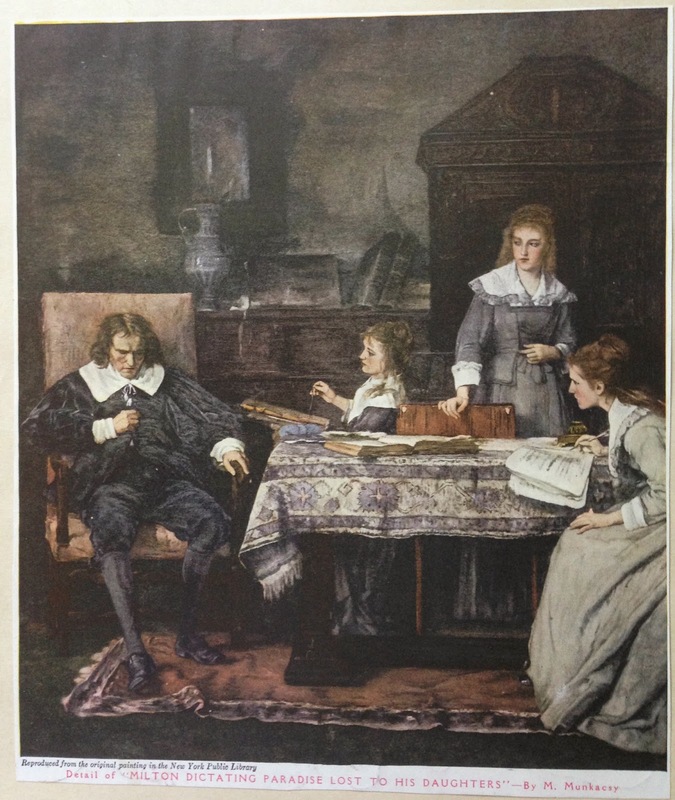 "In 1878, he painted a historical genre picture, The Blind Milton Dictating Paradise Lost to his Daughters, which marked a new milestone in his oeuvre. This scene is set in the past and in a richly furnished room. The picture was bought (and successfully sold) by Austrian-born art dealer Charles Sedelmeyer, who offered Munkácsy a ten-year contract. This deal made Munkácsy a wealthy man and a really established member of the Paris art world."